S04xE04 – This is going to be full of feels I can tell. Glee gives me more feels than my drama shows, ew. Marley and Puck Jr discussing free lunch, and Blaine and Brittany missing their significant others. It’s a little tender at McKinley high this day. Back in NYC Rachel wakes up to Kurt making breakfast. She spent the night with Finn. Everything seems to be a little on the awkward side. He called him little brother and that makes me want to cry a bit. Through the weird small talk, Finn admits he is not in the army, or he hasn’t been for 16 days. He shot himself with his gun and now he’s back after a semi-honorable discharge. She is happy he is there and is still the same old Rachel and wants to help him live his dreams. Santana and Brittany are enjoying their time together doing laundry, while Brittany invites Santana to some Christian group gathering. Santana truly seems weirded out. Kurt and Blaine are having trouble, Blaine finally admits that he’s having a hard time. It’s hard to see him so vulnerable. Kurt, of all people should be thrilled…but he seems literally annoyed. Finn observes Rachel in NYADA and is amazed by her. He has to do something so that he can stay in her life, he’s afraid she’s moved on. DUNCAN SHIEK, good lord. Between Blaine and Finn singing this I may just die. They’re lonely and their others are too busy hanging out without them, they’ve given up so much to be with them and now look where they are? WHO IS ELI? WHY DOES BLAINE WANT TO GO OVER THERE? They’re going to karaoke and Blaine just shows up! Oh he didn’t go to Eli’s! And Rachel has never been happier to have them all together. Meanwhile at Callbacks (karaoke bar, duh) Finn gives Rachel permission to sing that Demi Lovato song that I’m obsessed with, with Brody. He does it in an almost condescending way, this can’t be good. And of course she kills it. And he just realizes yet again that she’s moving away from him. But if you think about it, if she’s going to be on Broadway there’s going to be a lot of singing with other dudes, Finn needs to get used to it. 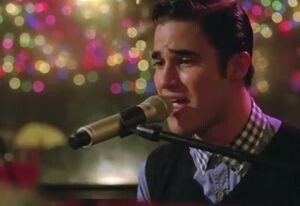 And now Blaine gets up there and belts out the saddest version of Teenage Dream I’ve ever heard and I’m not sure anyone can handle this. It’s entirely too sad and tender and feels. Stop crying when you sing Blaine. Finn calls out Rachel about how she sang with Brody, he doesn’t fit in, yadda. Kurt thinks Blaine’s performance was a little too emotional. He seems upset that Blaine is sad. Well, the reason Blaine is sad? He cheated on Kurt. WHAT. Rachel admits she kissed Brody. Blaine blames Kurt’s absence for his infidelity, which really isn’t fair. This really didn’t go the way I thought it would be going, so they try to clear the air with Don’t Speak. Blaine and Finn are big on the duets this episode. Sidenote, I’m really glad Glee is back to telling the story with songs, instead of just building a story around songs. Much better. Finn does what a man should do. He tries to run but ends up with Kurt in the living room, both of them wallowing in their moments. Brothers unite, at least they have each other. Back at McKinley (I forgot that it even existed for a minute) stupid cheerleader Kitty lady is inviting everyone to the “prepare for Armageddon” club, where they are going to simulate a fake rapture. It’s pretty gnarly. But it helps to clarify that everyone is feeling left behind, especially Brittany. Finn visits Mr. Schue to get some perspective. And to cry. STOP IT FINN. Finn visits the glee club and everyone is pretty excited, though all the new people are like uh who are you? They talk musical and Grease is the word. Why not Grease 2 people? No one understands. Mr. Schue tells Emma he is on the blue ribbon panel to help arts education, he asks her to go with him to Washington and she is not too keen on the idea. And now they fight. She isn’t going and that’s final, she enjoys her job and wants him to do his own thing. That isn’t so bad. Kurt back at vogue.com has some very beautiful flowers from a very sorry Blaine. A nice co-worker offers to cover for him if he needs to take care of anything and we see the sweet card from Blaine going into the trash. Santana and Brittany have a heart to heart. Santana needs to tell Brittany what she means to her. So she tells her with a Taylor Swift song. And it’s also heart-breaking. Don’t join a cult Brittany. Don’t cheat on each other. They don’t want to worry about it, they want to see other people because of the distance. Puck Jr is insecure and tells Marley the only person he’s with Kitty is because he isn’t made fun of when he’s by her. And he breaks up with her. And now life is good. Finn is back in the auditorium looking at songs when Rachel walks in. How can they all afford to just come back to Ohio whenever they feel like it? Rachel tells Finn she hated him for leaving her but then realized how much he loves her. She gets to say her piece and where Finn is in self-searching mode he needed to hear it. He never feels he will be good enough for her. She tells him that he is her first love and she wants him to be her last. MORE TEARS. But, we knew it was coming. She tells him they are done, at least for now. We cut to some Coldplay. All the broken up boys and gals gather on the stage to sing it out. Best of the episode: All the songs. Every song in this one was a winner. Worst of the episode: Kurt and Blaine and Finn and Rachel. 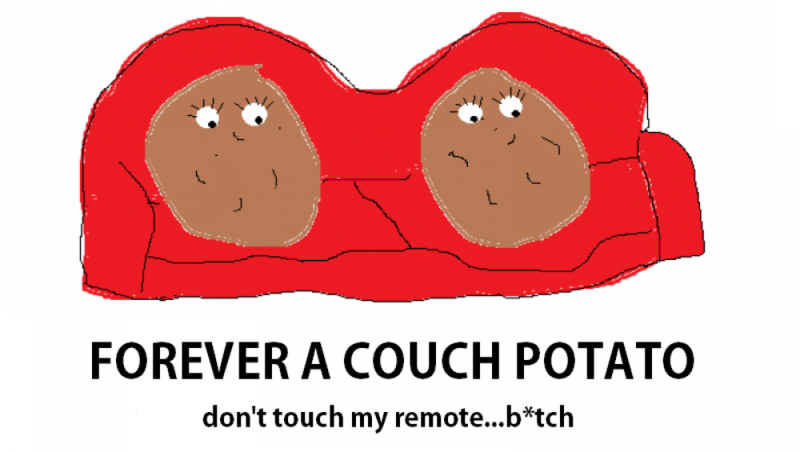 I’m not really tied to Emma/Schue or Santana/Brittany, though I love them, my feels are elsewhere. Where did this episode leave us: Totally up in the air, they never confirmed ir Blaine/Kurt were done, or whats exactly going on with Schue/Emma. The others seem pretty clear and thats unfortunate. What this episode ruined for us: It almost ruined Give Your Heart A Break for me, but not quite. Really only giving it four because there were too many break-up’s (obviously) or it would have been a 5.